Harvest Craft's mission is to equip, educate, and empower communities in developing countries through sustainable food production systems. Our heart behind Harvest Craft stemmed from a desire to do developmental work effectively and holistically. We wanted to stop the handout culture, and to empower people overseas. At its core it's economic development; but it has become so much more than that. Through the success of projects, we have learned that when you are able to take care of basic essential needs, the possibilities are endless. 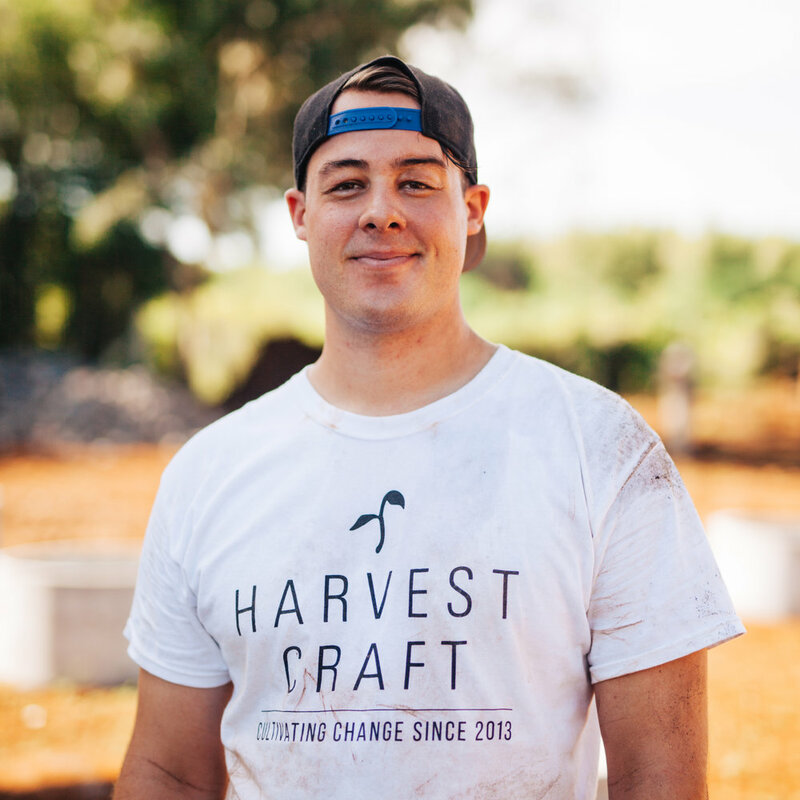 Check out the story behind Harvest Craft here. Brendon is currently a Professor of Biological and Environmental sciences at Biola University. He earned his Master's of Science in Horticulture from Washington State University, and received his Bachelors of Science at Biola University in Environmental Sciences. He also received a Graduate Certificate in Sustainable Agriculture from WSU. His areas of research include: fruit tree physiology, orchard management and sustainable food systems. Craig received his Bachelors degree at Biola University in Intercultural Studies and currently lives full time in Haiti working and operating with local farmers in the area. Craig has taken courses in Agroecological Design, Permaculture, and Graduate courses in Reforestation. He continues to travel the world consulting on agricultural production systems. His areas of research include: watershed restoration and development. Check out our awesome Board of Directors here. Favorite vegetable: Carrot, you don’t see what’s being grown, but when you pick it you uncover the beauty of it. Favorite vegetable: Cucumbers because they go on Greek food, which makes my world go 'round. Favorite Vegetable: An onion because it makes the whole house smell good when you cook with it! Favorite Vegetable: Red peppers, they're virtually the only vegetable I eat in college. Favorite vegetable: Ginger - I like it because of its versatility. It is sweet but spicy, what I aspire to be! Favorite vegetable: Zucchini. It's full of sweet memories of childhood and summer evenings.